Hello 2016!…In this issue: remembering Michael Wallin, generous donations, filmmaker spotlights, salons, new board members, artist grants. Flights of fantastic material….. 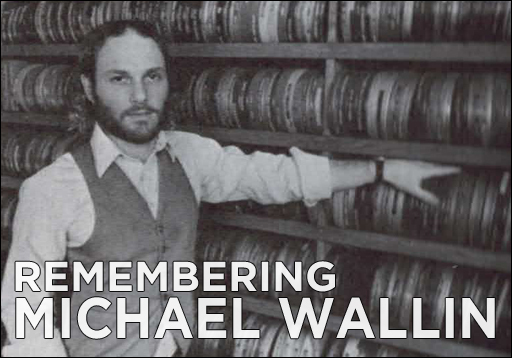 In contribution to the life and memory of Michael Wallin, long time Bay Area filmmaker and artist, close friends and filmmakers have provided tributes and reflections on his life and work. Canyon filmmakers Joel Singer, Andy Moore, Dominic Angerame, former SF Cinematheque Director Steve Anker and Wallin’s mentor and father of Canyon Cinema Bruce Baillie all provide personal statements on the artist and their relationships with him. Andy Moore provided a video montage of images of the filmmaker and friends throughout his life. See the material on our blog. We extend our sincere gratitude to the George Lucas Family Foundation for renewing its commitment to Canyon Cinema this year. 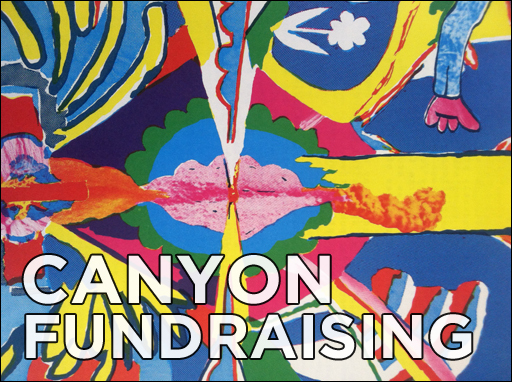 For the second consecutive year, the Foundation has generously contributed $50,000 to Canyon, enabling us to grow as a nonprofit organization and support our day-to-day operations Mr. Lucas has been a long-time supporter of Canyon, citing screenings and filmmakers as early influences on his love of cinema. A very special thank you to our community of patrons, filmmakers and fans who contributed to our fundraiser this past fall. With your help we raised $5695.50. These funds will allow us to increase free screenings and public events, develop our digital distribution program and expand the catalog of films and artists. We are honored to welcome back to the Canyon collection two films by Daniel Barnett. Barnett’s work is an exploration of language – the ways in which in it impedes and enables our knowledge, and meaning – its formation and application, the threshold between the denoted and connoted. White Heart is a cinematic exploration of ephemeral states of meaning – before assimilated and fixed into familiarity. For 16mm print specs see the film’s catalog entry. The Chinese Typewriter (1978-83), also available on 16mm, was the first American film shot in China after the Cultural Revolution, and was the first in an ongoing series by Barnett of poetic essays on culture and belief. Compiled from 40 hours of documentary footage and titled accordingly, Barnett’s An Anagram, now available on DVD for the first time at Canyon Cinema, is an essay on the effects of the sudden collapse of a culture’s belief system. See Barnett’s filmmaker page for further information. Newly available films at Canyon Cinema this month muse on the abstract, the capacity of the medium for vivid sensory representation, and on a flight from confinement in pursuit of pleasure. Robert Breer’s early study in animation, entitled Form Phase #4 (1954), is available to rent on 16mm. 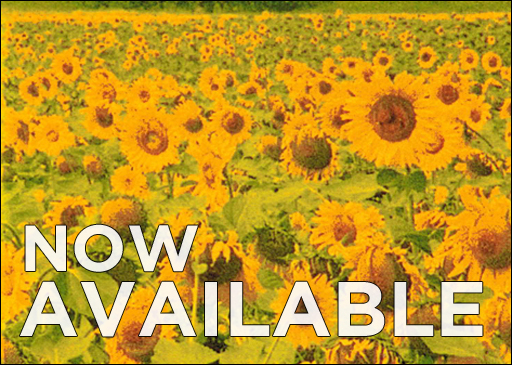 Les Tournesols Colorés (1983), Rose Lowder’s candy-colored floral exposition is also available on 16mm. 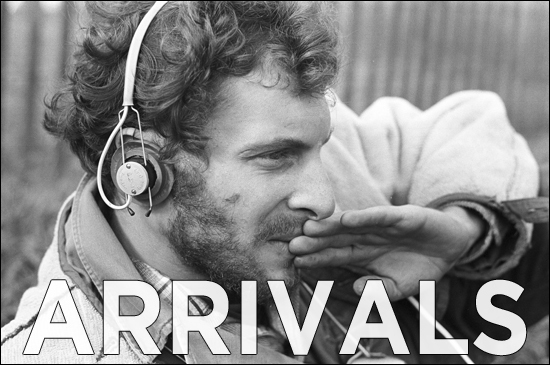 San Francisco filmmaker Jerome Hiler’s New Shores, shot between 1971-87 and edited in 2014, sets out on a cross-country journey, explores disparate tensions and concludes with a return – to memory and to the present. 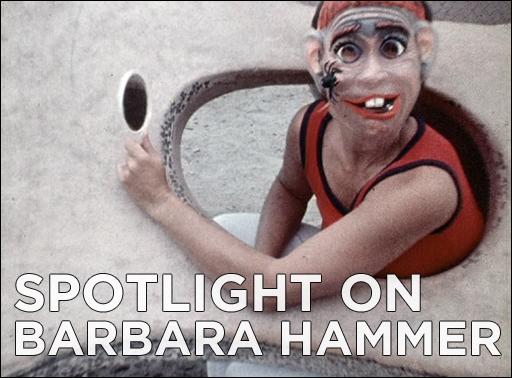 For over 50 years Barbara Hammer’s work has exploded normative structures of power and representation. As a pioneer lesbian artist and filmmaker, her work, exploring fragmentation and uncovering histories and images obscured by a ‘master’ historical narrative, has sought to represent those voices which have been denied personal expression. Her newest film, Welcome To This House is out and touring throughout Europe and the States. 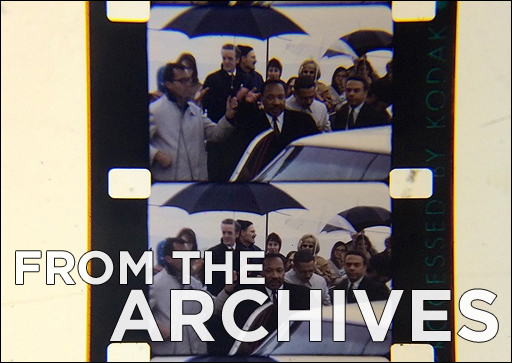 You can see materials from the press release, including the filmmaker’s synopsis and reflection on her material, as well as as images from her work, on our blog. For the entire list of her films available at Canyon, see our site. Paul Glabicki’s meticulous draftsmanship in his early animated films led his work to be mistaken for computer animation. He would indeed become a pioneer of digital animation, but his abstract geometrical studies, consisting of thousands of hand-drawn animation cells rank among the great works of Hans Richter, Oskar Fischinger, and Robert Breer. 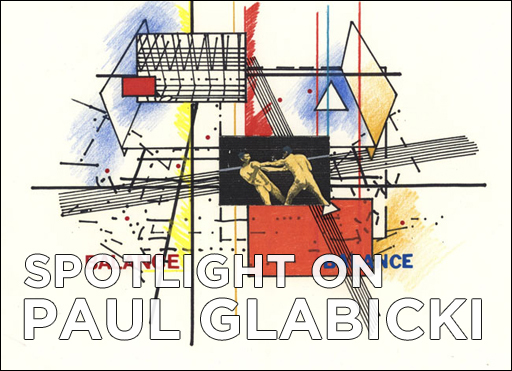 As a young student of painting Glabicki became interested in the temporal perception of moving images and the extrapolation of meaning from abstract images. Mr. Glabicki recently gifted a number of original hand drawn cells to Canyon; see them on our blog. For more information on the filmmaker, including his filmography at Canyon, see our site. On Wednesday February 3rd Canyon Cinema had the pleasure of co-presenting an evening of poety and film with artist Tom DeWitt Ditto at San Francisco’s Exploratorium. With roughly 275 people in attendance, the program, entitled Indelible Hallucinations, featured work by Canyon filmmakers Bruce Baillie, Pat O’Neil, Scott Bartlett, as well as both 16mm and 3D video presentations of Tom’s work, including a cosmic 3D performance of the Rolling Stones’ Paint It Black. Thanks to everyone who came out to support the event! 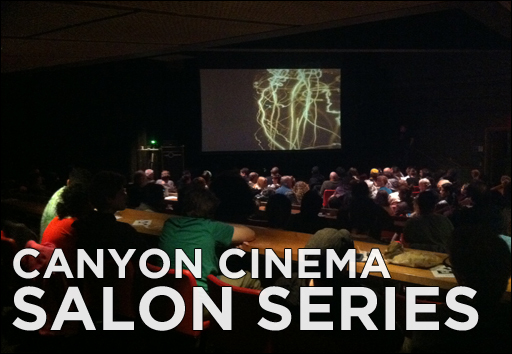 Join us March 7th for the next installment in the Salon Series with filmmaker Lynn Kirby at New Nothing Cinema. 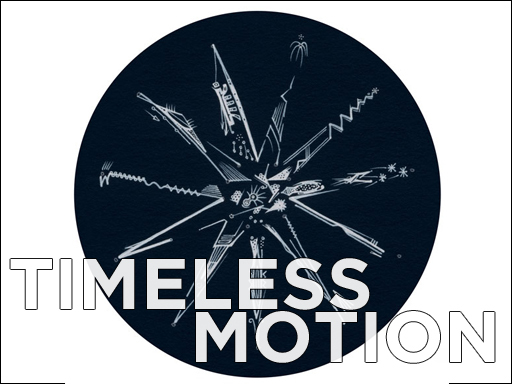 In an exploration of the cinematic image, movement, and time moving image artists, including several Canyon filmmakers, have collaborated on an exhibition entitled Timeless Motion. The program investigates components of the moving image through animation, collage, photography, printmaking, and other medium, as well as a supplemental series of events and workshops. Co-curated by Canyon Director Antonella Bonfanti and featuring Canyon filmmakers Scott Stark, Paul Clipson, and Mark Wilson, the program runs February 18th – March 23 at SOMArts Gallery, 934 Brannan St., San Francisco. 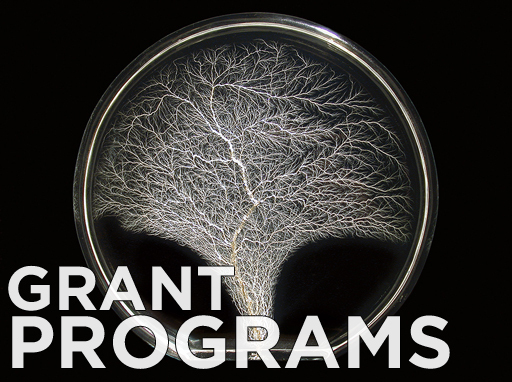 Exciting grant opportunity for artists 60 and over. Among the Seraphim are those individuals whose work seeks to provide the means for independent artists to continue to work in the face of financial obstacles. One such person is Alyce Simon, who in 1995 founded Tree of Life, a nonprofit organization that features grant programs benefitting senior artists. Born out of a response to diminishing opportunities for elder artists such as Simon, the program seeks “to encourage talented and late-career artists in pursuit of their ideas and the expansion and perfection of their techniques and capabilities.” DEADLINE to apply is April 1. The Board of Directors at Canyon Cinema Foundation recently welcomed three new members to the board. Max Goldberg, Steve Seid, and Jeffery Skoller have joined existing members Michael Renov, Michelle Puetz, Rebecca Meyers, and Peter Conheim in overseeing Canyon affairs. Max Goldberg is an Oakland-based archivist and critic whose writing occupies the pages of film journals across the states; Steve Seid was a long time curator at the Pacific Film Archive, and his curatorial work has included exhibitions honoring artists such as Stan Brakage and John Cage. Jeffery Skoller is an internationally exhibited writer and filmmaker; he is currently Associate Professor of Film & Media at UC Berkeley. 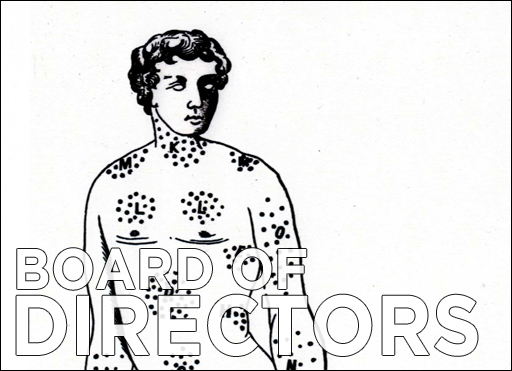 Learn more about our board members here.